Kids Look at Colorado illustrates Colorado's unique past and exciting present. 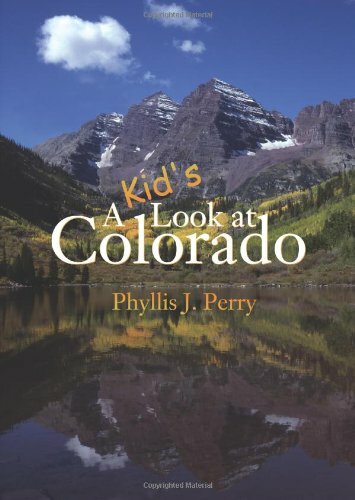 Phyllis Perry provides intriguing details on national parks and monuments, historic sites, ghost towns, selected cities, educational opportunities, economy, government, land, rivers, wildlife, trees and flowers, early explorers, mining, railroading, ranching, Native Americans, state symbols, and more. Each chapter contains photographs and reflections on Colorado's interesting and diverse characters. For children in Colorado, there is a growing gap in state history literature for education. There are only two state history books on the market and, while updated on a routine basis, they are written in strictly textbook format. 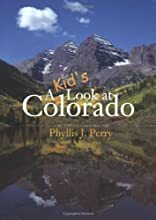 A Kid's look at Colorado is far more engaging for children to read and an excellent source of information for a parent supplementing schoolroom information or homeschooling.